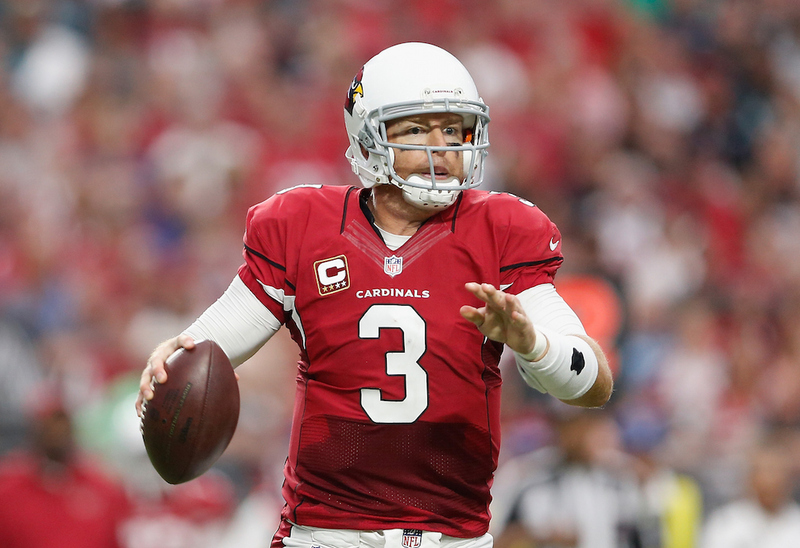 NFL: Are Carson Palmer and Andy Dalton Serious MVP Candidates? Not to be too painfully obvious, but when it comes to the National Football League, being named the league’s Most Valuable Player is the most prestigious individual award a player can win. In fact, bringing home an MVP award typically puts players on the fast track to induction into the Pro Football Hall of Fame in Canton, Ohio. After just three weeks, the race for the 2015 NFL MVP award is starting to take shape. The usual suspects – New England Patriots quarterback Tom Brady, Green Bay Packers quarterback Aaron Rodgers, and Houston Texans defensive end J.J. Watt – are emerging as the obvious frontrunners for the award, but they are far from being the only three players in contention. A handful of new faces such as Atlanta Falcons wide receiver Julio Jones, Pittsburgh Steelers wide receiver Antonio Brown, Carolina Panthers quarterback Cam Newton, and St. Louis Rams defensive tackle Aaron Donald have all played well enough thus far that they have propelled themselves right into the thick of the 2015 MVP race. While the aforementioned players tend to receive more attention and hype than any other potential candidate around the league, there are two players who, to the surprise of virtually every person that follows the league, have played at an MVP-caliber level through the first three weeks of the season. Those two players are Arizona Cardinals quarterback Carson Palmer and Cincinnati Bengals quarterback Andy Dalton. We would be willing to bet a large sum of money that you would have laughed in our faces had we told you that Palmer and Dalton would be MVP candidates prior to the start of the 2015 season. Palmer is less than a year removed from tearing his left ACL, and Dalton’s play throughout his four-year NFL career had been about as consistent as a roulette wheel in Las Vegas. With that being said, Rodgers and Brady are the only other quarterbacks in the league who have outplayed these guys up to this point. Palmer and Dalton have both led their respective teams to 3-0 starts to the 2015 season, and both quarterbacks are on track to finish the year with huge numbers. Here is a look at each player’s passing statistics through the first three weeks of the season. For Palmer, this season is shaping up to be a comeback story for the ages. In 2005, just his second season in the NFL, Palmer was rapidly emerging as one of the best quarterbacks in the league. Statistically speaking, he had been the best quarterback in the league during the regular season in leading the Bengals to an 11-5 overall record. On his first pass attempt in the Bengals’ Wild Card playoff game against the Pittsburgh Steelers, Palmer took a shot to his left knee from a Pittsburgh defender tearing his ACL, and thus ending his season. Ten years later, Palmer appears to have finally regained the MVP-form he displayed during the 2005 season that had many people believing he was destined to go down as one of the all-time NFL greats. 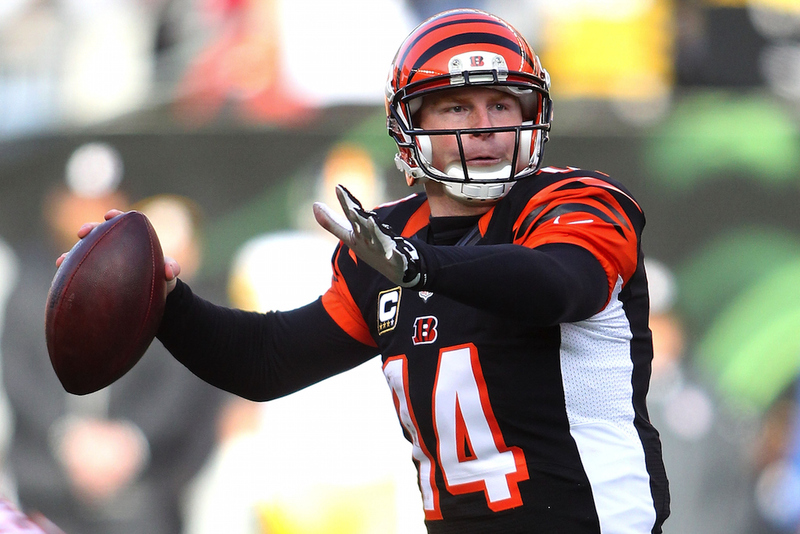 For Dalton, the 2015 season has widely been viewed as a make-or-break year for the 27-year-old quarterback. With four years of starting experience and a hefty contract extension under his belt, Dalton desperately needed to prove that he is capable of playing like a franchise quarterback on a consistent basis, and that he can lead this team to a victory in the postseason. While it’s still way too early to know if he will improve upon his career 0-4 postseason record, Dalton has undoubtedly proven over the last three weeks that he is fully capable of playing at a high level over an extended period of time. It helps that he has All-Pro wide receiver A.J. Green at his disposal, but we still firmly believe that Dalton has matured into one of the better quarterbacks in the game. Their stats are nice, but the MVP candidacy of both Palmer and Dalton will continue to be contingent on the overall win/loss records of their respective teams. If the Cardinals and Bengals continue to reel off wins, as we anticipate them doing, you can safely expect to see Palmer and Dalton finish in the top-five of NFL MVP balloting at the end of the season.